From next week US truckers will be obliged to use electronic monitoring devices to measure the working hours of truck drivers. From December 18, all vehicles over 4.5 tons must install ‘electronic logging devices’, essentially a ‘black box’ that monitors the length of time the truck has been driven as well as other information such as speed. This is not universally popular, especially amongst smaller companies and owner-drivers. Electronic systems are less forgiving than the old approach of logging hours manually, making few allowances for road conditions or ability to rest in certain locations. They do yield more information about how the truck has been driven and this can be a benefit, with larger truck companies using them to monitor the behaviour of their drivers. This is of little attraction to smaller operations without elaborate management structures. Unsurprisingly there has been considerable grumbling about the issue. Many fear that smaller trucking companies will lose business to the large networks. Most European economies have operated mechanical and paper ‘tachograph’ systems as a legal obligation for a number of decades. If anything, the regulations governing driver hours are more onerous than those in the US. However, the technology used is primitive and open to abuse. The systems are supposed to be checked, however in many countries enforcement is weak. Cross-border traffic is particularly open to abuse with small trucking companies – which account for so much of continental Europe’s trucking fleet – tempted to tamper with the mechanism in order to disguise the number of hours that their drivers are really doing. With fatal accidents involving long-distance trucks not uncommon, this is a serious issue. 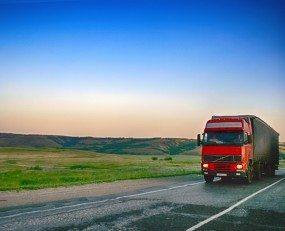 That electronic monitoring systems are only being introduced now illustrates how basic much of the road freight sector actually is. The introduction of semi-autonomous driving systems would represent a huge change for a sector which often relies on drivers putting in enormous hours on the road, frequently in less than ideal conditions. It is hard not to think that such an approach is not sustainable both in terms of attracting workers to do the job and safety. What has not attracted so much attention is the impact such new technology will have on the relative competitiveness of different business models. It may be that greater levels of control may negatively affect smaller truck companies and owner-drivers that account for so much of road freight capacity.